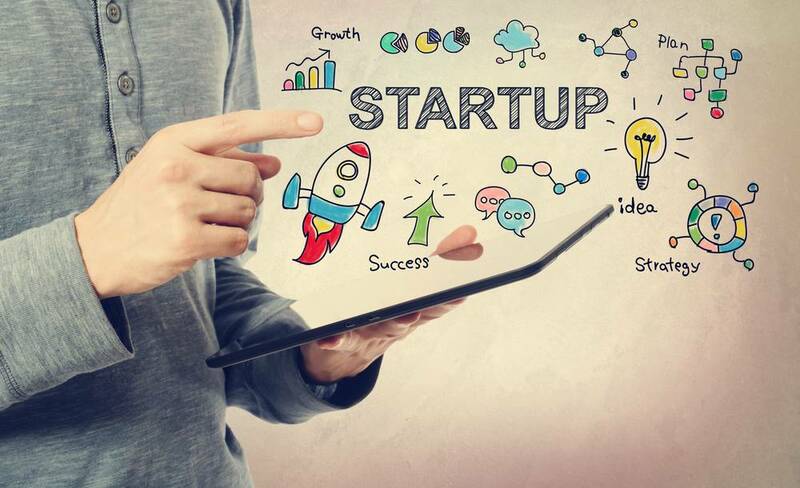 To initiate the development of startups in India and provide a competitive platform, Section 80-IAC states that an eligible startup shall be allowed a deduction of an amount equal to 100 per cent of the profits and gains. With the intention to promote job-creators, this Section was introduced in the Finance Act of 2016 and was later amended in the Finance Bill of 2018. To be avail these deductions, a startup should engage in eligible business for three consecutive assessment years out of seven years (five years assessment year 2017-18) beginning from the year in which such qualified startup is incorporated. This article talks about Section 80-IAC that offers tax incentives for startups in India. To provide an incentive for startups and aid their growth in the early phase of their business, a new Section 80-IAC has been brought around. Accordingly, a deduction of 100 per cent of the profits and gains derived by an eligible startup from a qualified business is allowed for any consecutive assessment years among the five years beginning from the particular year in which the eligible startup is incorporated. With effect from the assessment year 2018-2019, the benefit would be open to startups incorporated on after the 1st of April, 2019 but before the 1st of April, 2021. Up to the assessment year 2017-2018, the benefit was available to startups incorporated between the 1st of April, 2016 but before the 1st of April, 2019. If the business is incorporated as a Limited Liability Partnership (LLP) or a Company. If the total turnover of the business does not exceed INR 20 Crores in any of the prior years beginning on or after the 1st of April, 2016 and ending on the 31st of March, 20121. The requirement of the turnover not exceeding INR 25 Crores would apply to seven previous years commencing from the date of incorporation. Note: Turnover should not exceed the prescribed limit of INR 25 Crores for the year for which the startup claims the 100 per cent deduction. It is engaged in an eligible business that is involved in innovation, improvement of products or development of processes or services, or a scalable business model with a high potential of employment generation or wealth creation, deployment or commercialisation of new products, processes or services driven by technology or intellectual property. When the startup is not formed by splitting up, or the reconstruction, of a business that is already in existence. Although, this condition shall not apply in respect of a startup which is formed as result of a re-establishment, reconstruction, revival or reconstruction by the assessee of the business of any such undertaking as stated in Section 33B, in the circumstances and within the period specified in that section. If the machinery or plant was not, at any time before the date of the installation by the assessee, used in India. If the machinery or plant is imported into India. No eduction on account of depreciation with respect of such machinery or plant has been permitted or is allowable under the provisions under the Income Tax Act of 1961 in calculating the total income of any individual for any period before the date of the installation of the machinery or plant by the assessee. Further, wherein the case of a startup, any machinery or plant or any part thereof previously used for the purpose is transferred to new business and the total value of the machinery or plant or part. This should not exceed 20 per cent of the total cost of the machinery or plant used in the business. Then, the condition specified that it should not be formed by transfer to a new business of plant and machinery used for any purpose shall be deemed to have been compiled. Where “eligible business” means a business which involves innovation, deployment, development or commercialisation of new products, services or processes driven by technology or intellectual property. Where “eligible startup” means a company or a limited liability partnership engaged in eligible business which fulfils the following conditions. Where “limited liability partnership” means a partnership referred to in clause (n) of sub-section (1) under Section 2 prescribed in the Limited Liability Partnership Act of 2008 (6 of 2009). For computing deduction under this section, the gains and profits of the eligible business shall be computed as if such businesses are the only source of income of the assessee during the relevant previous years. The deduction shall be allowed only if a chartered accountant has audited the accounts of the startup for the relevant previous year and the assessee furnishes the audit report in the form that is prescribed, and duly signed and verified by such an accountant along with his return of income. For any products or services held for the eligible business are transferred to any other business carried out by the assessee or vice versa. Also, if the consideration for such transfer does not correspond with the market value of the goods or services, then, then profits and gains of the business shall be computed as if the transfer was made at market value. However, if, in the opinion of the Assessing Officer, such computation presents exceptional difficulties, the Assessing Officer may compute the profits on such reasonable basis as the Officer may deem fit. The deduction claimed and allowed under this section shall not exceed the profits and gains of the eligible business. Further, where the deduction is claimed and approved under this section for any assessment year, no deduction with respect of such profits will be allowed under any other section under this chapter. The Assessing Office is authorised to make adjustments while computing the profit and gains of the eligible business by the reasonable profit that can be derived from the transaction. This is in case the transaction between the assessee carrying on the eligible business under Section 80-IAC, and any other person has so arranged that the transaction produces excessive profits to the eligible business. However, if the arrangement involves a specified domestic transaction referred to in Section 92BA, then the number of profits from such transaction shall be determined to have regard to the arm’s length price. The Central Government is empowered to deny the deduction to any class startup. The section allows the Central Government to declare any class startup as not being entitled to a deduction under this section. The denial of exemption shall be in effect from such date as may be specified in the notification issued in the Official Gazette.